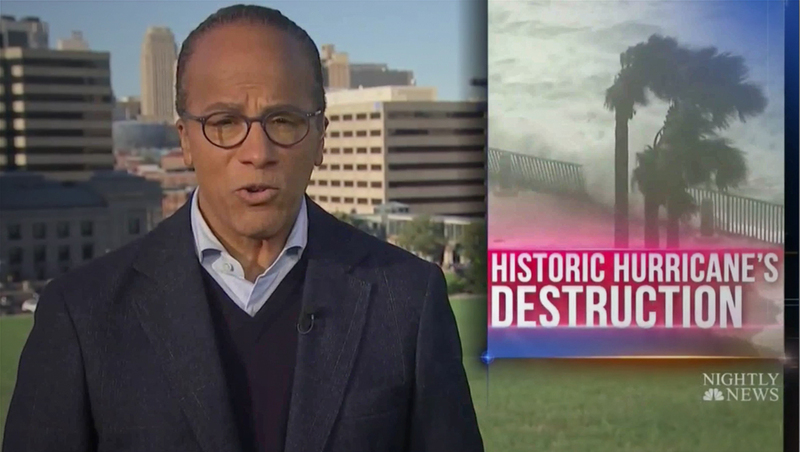 Despite a bit of a detour thanks to Hurricane Michael that forced “NBC Nightly News” to skip a planned stop in Tampa, anchor Lester Holt was back on track Thursday, Oct. 11, 2018, anchoring the broadcast from Kansas City, Missouri. Like the other installments, the open featured a custom voiceover and title card added to the end of the show’s normal open. 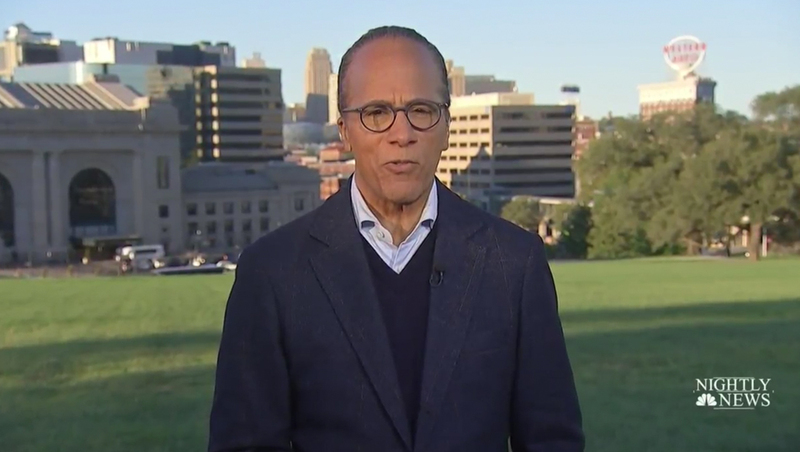 Lester Holt anchored from the sprawling grounds of Kansas City, Missouri’s National World War I Museum Memorial with the city’s iconic Union Station behind him. 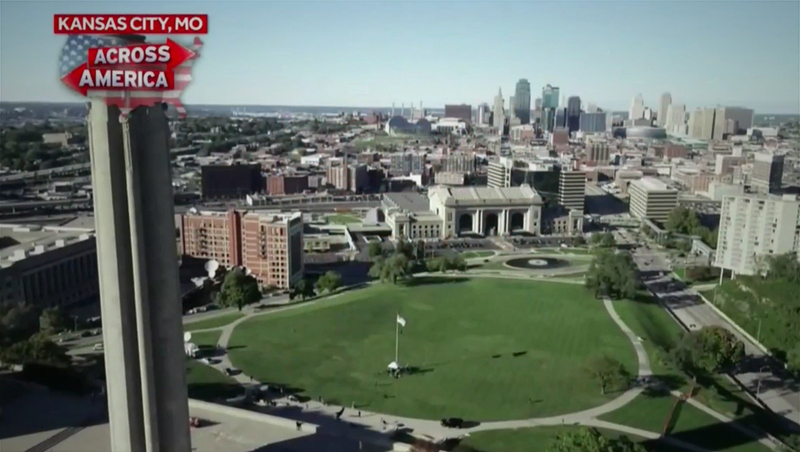 In the opening shot of the newscast, the network moved the “Across America” but to the upper left corner rather than the lower left it had been using. Holt still led ‘Nightly’ with Hurricane Michael coverage. Unlike in Houston and Montgomery, Alabama, Holt did not use a walk-and-talk style open, instead delivering most of the newscast from a stationary position. 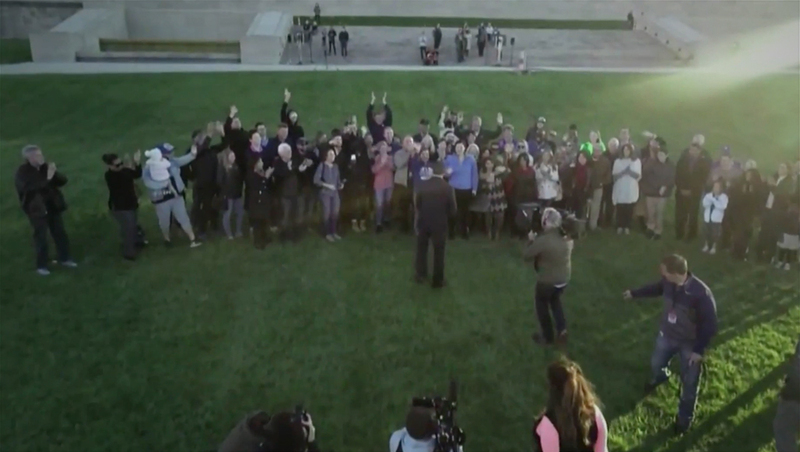 He did, however, close the broadcast with a less formal shot using a handheld camera and small crowd behind him before the control cut to brief overview shot of the setup. 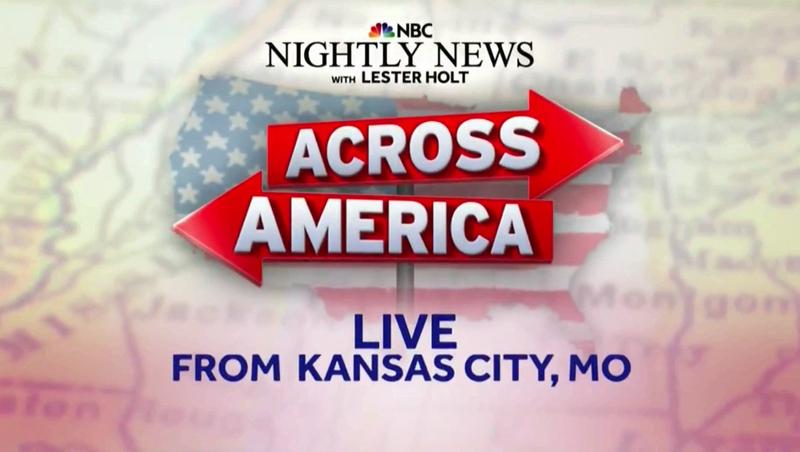 Like in previous cities, the Kansas City broadcast featured two ‘local flair’ stories denoted with an ‘Across America’ flag added to the show’s normal lower thirds. 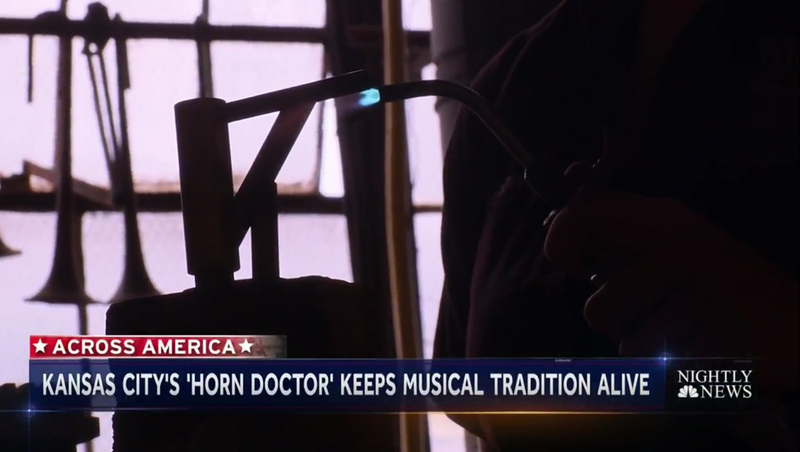 These stories are in place of the broadcast’s normal rotation of kicker stories. NBC News did not respond to requests for comment on the status of the tour of if the Tampa stop will be “made up” at a later time. According to a tweet posted to the show’s official account, the planned stop in San Diego is moving forward Friday. Correction: An earlier version of this article misidentified the the war the Kansas City World War I Memorial and Museum commemorates.